Flaman Group of Companies carries a variety of Enclosed Snowmobile Trailers, from fully loaded enclosed trailers, to truck decks for hauling your sleds. We offer both steel and aluminum constructed options to accommodate all preferences. With the wide variety of accessories we offer, you are able to spice up your trailer with racks, cabinets, tie downs, helmet holders, fold up benches, stereo systems, and boot and glove warmers. 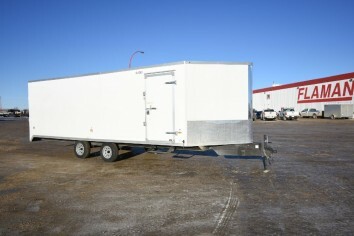 Our enclosed snowmobile trailers come with the choice of being insulated or non-insulated and heated or non-heated. 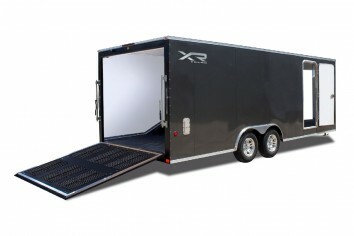 Our sled trailers are available with dove tails and reverse dove tails which add to the ease of loading and unloading, as well as mezz deck flooring that can stand up to the snowmobile carbides and is extremely durable. Two-way vents are a standard feature on our sled trailers, which allow for pressurization as well as allow fresh airflow. 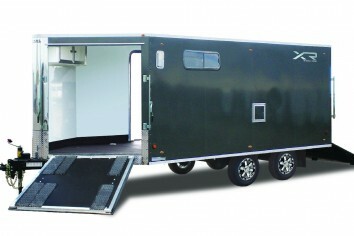 Enclosed trailers come in both a lowboy and highboy configuration. The lowboys being popular among mountain riders (people who travel for snowmobiling) due to the lower profile, which gives a more economical tow over long distances with a smoother ride. The highboy snowmobile trailers are popular among the trail riders because they have a higher clearance allowing you to get off the beaten path. 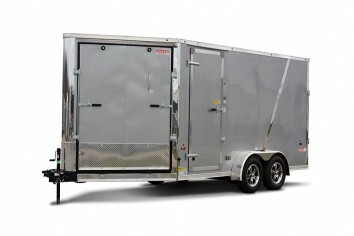 Where should you buy your Sled Trailer? 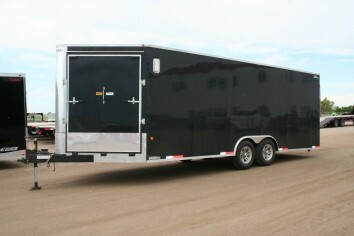 There are many dealers selling sled trailers. Your choices should be made based on product knowledge, service and after sales support, not price! The trailers are all priced differently for a reason. If something is less or more at different dealers it is due to features, product quality and support the dealership offers. 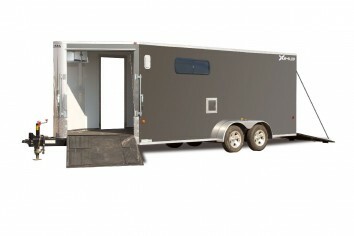 Educate yourself and purchase from a professional that will help you choose the best snowmobile trailer for you. Flaman is the place for you!